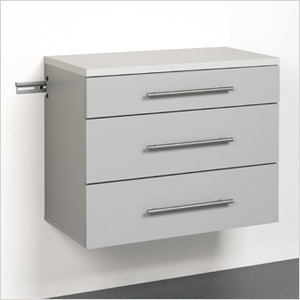 The HangUps 3-Drawer Base Cabinet offers versatility for your ever changing storage needs in the garage, laundry room, office or workshop. 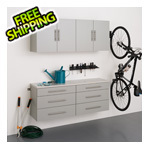 This cabinet is constructed using industrial grade laminated composite wood and features 3 sturdy drawers with 1/2" drawer bottoms and metal drawer sides. 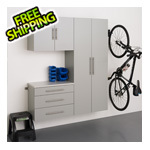 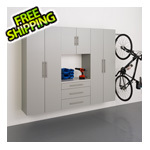 The Base Cabinet mounts securely to the wall with a heavy duty metal rail and hook system.